The Cornhusker Council is pleased to announce that effective July 10, 2018, Lee Peterson will be joining the staff as District Executive in the Seven Feathers District. Lee comes to us with 27 years of service, in both the active duty Army and the Nebraska Army National Guard. Serving in Field Artillery, Light Wheel and Track Maintenance, Recruiting, Marketing and Education, Battalion Senior Operations, and Company First Sergeant. His top three Military awards include 2 Meritorious Service Medals, 6 Army Commendation Medals, and the Army Achievement medal. In addition to the Military Outstanding Volunteer Service Award for his many years of dedicated service to the BSA. Lee has been married to his High school sweetheart Kelley, for 25 years. His son Foster is an Eagle Scout and 2019 Senior at UNL. His twins are 2019 Senior’s at Lincoln Southeast High School, Skyler earned his First Class Scout and is one of the top High School Pole Vaulters in the State. Finley is the LSE Dance team Captain and Student Council Vice President. Lee enjoys Canada fishing trips, and the warm sands on the beaches of Cancun, Scuba Diving, Bowling, Hiking, and has finished 9 Lincoln Marathons. 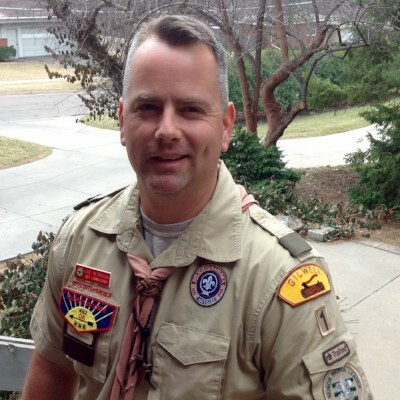 He has served the BSA since 2003 as a Tiger, Wolf, Bear, Webelos Den Leader, Activities Chair, Cub Master, Order of the Arrow, Unit Commissioner, Salt Valley District Committee Activities Chair, District Committee Chair, Wood Badge participant, Troop Guide, Senior Patrol Leader, and Course Director for Wood Badge C5-324-17. He is a Distinguished Unit Commissioner, District Award of Merit and Silver Beaver recipient.